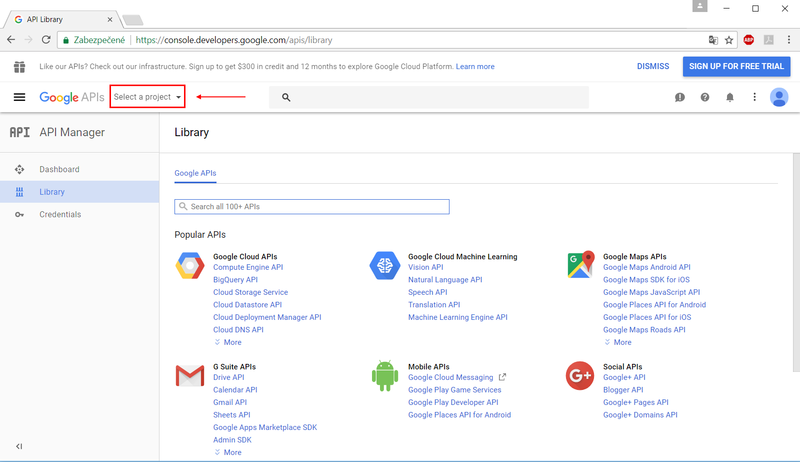 If the API Manager page isn’t already open, open the console menu and select “API manager”. 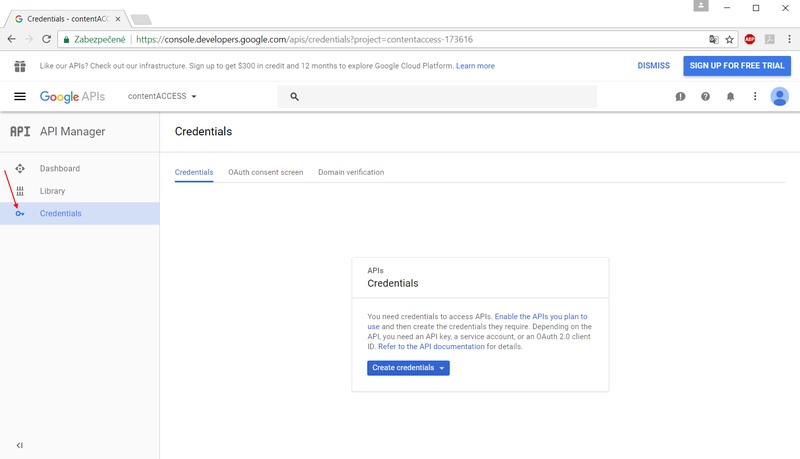 On the left, click “Credentials” and then select your project. 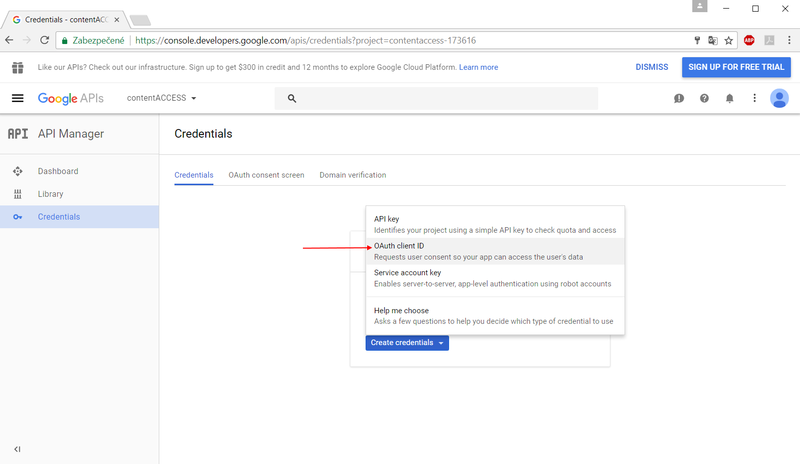 Click “Create credentials”, then select “OAuth client ID”. 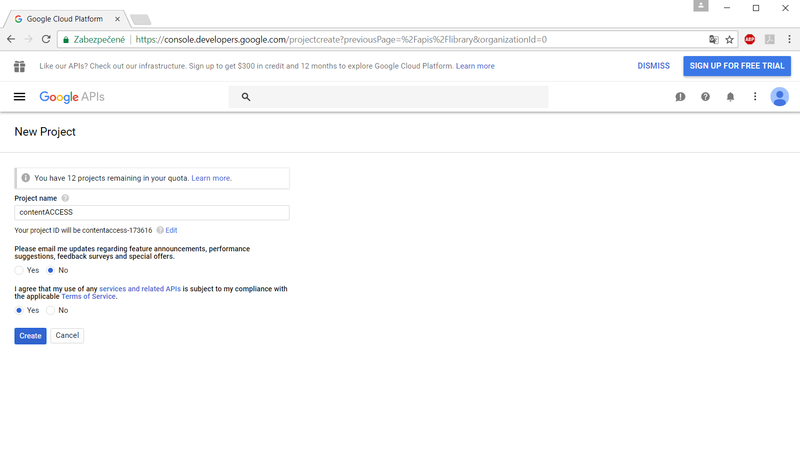 If this is your first time creating a client ID, configure your consent screen by clicking “Configure consent screen”. 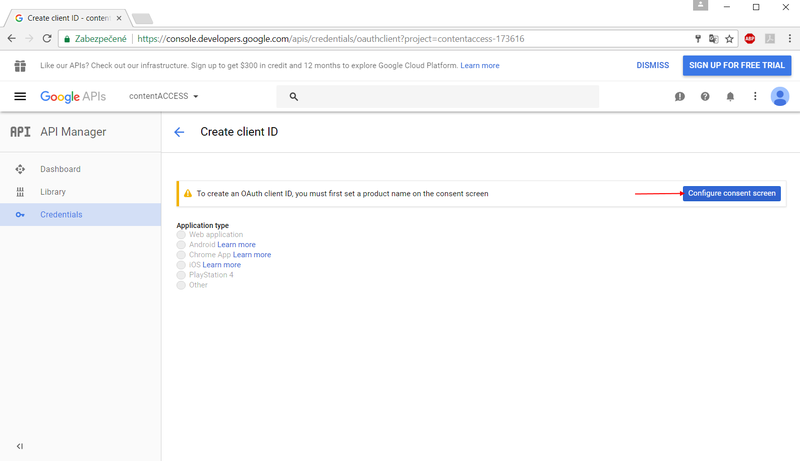 Enter the product name and fill the optional fields if you want. Save your settings. 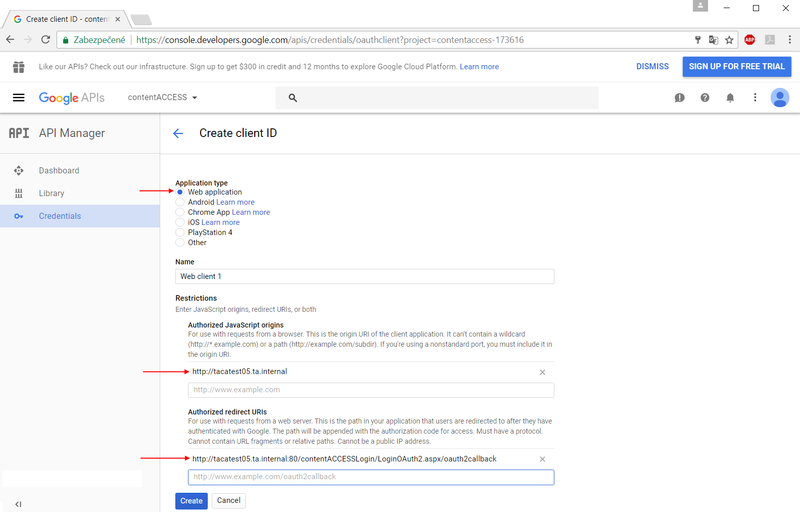 Use the URLs accessible in the Google login provider’s window in contentACCESS Central Administration, like in the blue frame on the picture below. Important: The URLs are case sensitive! 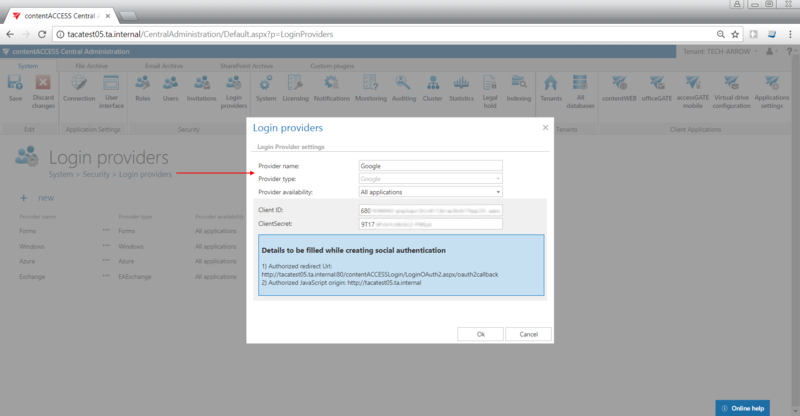 Now configure your Login provider in contentACCESS Central Administration. Open the Login providers page (System => Security => Login providers), click here on “+new”. 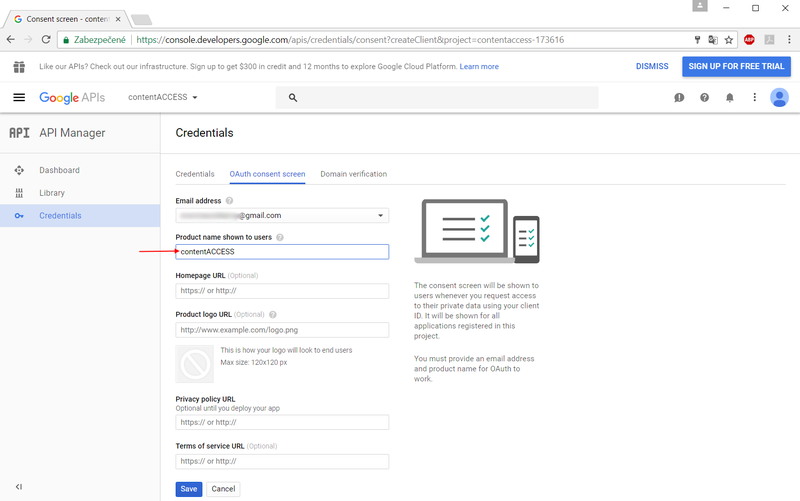 In the Login providers window name your provider, select Google provider type and choose the application that should use this authentication type. 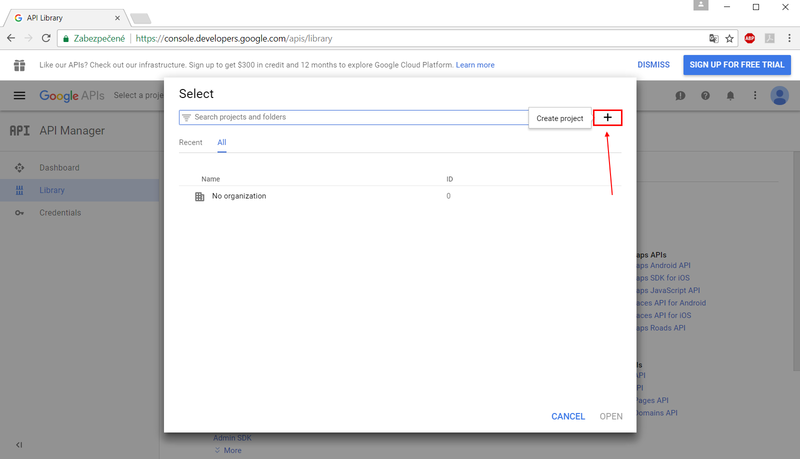 Further enter the Client ID and Client Secret from step 9) to the respective text fields, and click OK.